I grew up in Dublin, Ireland, in a traditional Catholic family where we all went to Holy Mass on Sundays. However, the faith was not very deep; rather, it was something we did out of routine. When I was about twelve, my parents separated. My prayer to God was for them to get back together. After a year or two, it was clear that they would not be doing. So, I concluded that God did not care about me since He did not answer my prayer. I still believed He existed, but I stopped believing that He was a God of love. Turning my back on Him, I attempted to create my own happiness through alcohol, boys, nights out, popularity, etc. These led me down a path that was further and further from whatever God may have planned for my life. I was left feeling isolated, yet I continued searching for happiness in worldly things, completely unaware that they could not fulfill me. 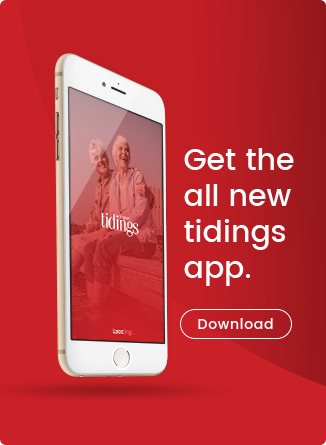 This continued for a few years, but a big turning point came in the sixth year, after a typical night out of heavy drinking and bad decisions. I woke up the next morning realizing that I was feeling utterly lost, that I kept falling into the same bad situations. Something had to change, but I did not know how. I only knew that I was longing for something more meaningful in my life. At the time, I was in a relationship that made any real change quite difficult. He had become my focal point of happiness, yet the relationship was not based on the true meaning of love. One day, my Dad’s uncle visited us. Devoted to the Catholic faith, he lived to lead others closer to the Lord. The Holy Spirit used him in a very powerful way. He asked me if I would like him to say a prayer with me. I politely said yes, but was not taking it too seriously. However, I experienced such a presence of power and authority, as well as Supreme Love, gentleness and peace. It left me feeling powerless, but very contentedly so. This was the grace of God that came into my heart through the power of the Holy Spirit. In retrospect, I recognize this moment as the beginning of my journey back towards our Lord. The Holy Spirit ignited a small but powerful spark in me. Not long after this, my Dad arrived with a book for me, “Through the Eyes of Jesus” by Alan Ames. I cannot recommend this book enough. It tore away all the lies and misconceptions I had about a far-off God. It opened my eyes to the reality that God is love and that Jesus truly loves me beyond all understanding. As I continued to read this book, I found tears streaming down my face, my heart burning with something unrecognizable—Jesus’ pure and unconditional love. I yearned for more of this love of God. I was hungry for His truth. However, one huge block to this remained for me—chastity. I was still in a relationship and was torn between human “love” and this newfound pure love from God. My boyfriend could not understand this change and had no belief in God. This was heartbreaking for me. I longed to be free to love God with my entire heart, not just part of it. I wanted to live in line with His Church. The Lord listened to my prayer. He knew how weak I was and how not being in a state of grace made it incredibly difficult to take that big step. On Saint Winefred’s feast day, my Dad was at her shrine praying for me. That very weekend my boyfriend and I broke up. Painful as this was at the time, it set me free. By now I was ready to accept the Church’s teaching in all its fullness and change my life in whatever way necessary. In confession a wonderful priest explained to me why the Church teaches the message of chastity. He told me about a group in Dublin that met weekly and prayed for purity. My initial reaction was a definite “no.” I was willing to practice chastity but I was certain that I could do it on my own—our Lady knew better. Several months later I was with a group in Medjugorje for the youth festival. They were normal, fun young people who loved the Lord like me. They told me that they were involved in this prayer group in Dublin called Pure in Heart, which prays for purity. Back in Dublin, I went along to hear a Pure in Heart talk and was blown away. It was a message I had thirsted to hear. I began attending the weekly prayer meeting, which was pivotal in continuing to live chastity. Having finished my undergraduate degree, I am now blessed to be working for Pure in Heart, which teaches the truth and beauty of human sexuality. I am on the mission team that travels around the country bringing this life-giving message of true love to secondary-level students. I am passionate in sharing this message as it profoundly changed my life in so many ways. It is teaching me what love truly is, how to receive love from God and others and how to truly love in return. I pray that one day every soul will hear this message and choose real love, not the counterfeits for which the world is trying to make us settle. Chastity has shown me that only God’s love can truly fill the void within our hearts. When we are affirmed in His love for us, we can then love others in a beautiful and ordered manner that never robs them of their dignity. By attempting to imitate Christ’s love we begin to see God working powerfully in our lives. We see God in every human being who is made in our Creator’s image and likeness. 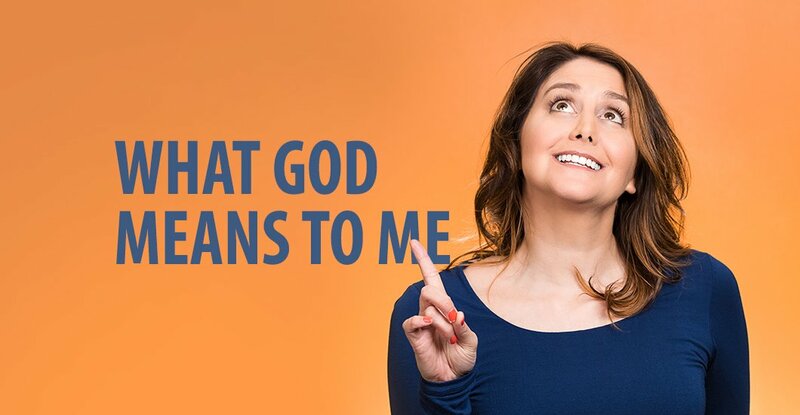 What does God mean to me? He is my everything, the Love we all seek. © is on the Pure in Heart (www.PureInHeartIreland.com) mission team. 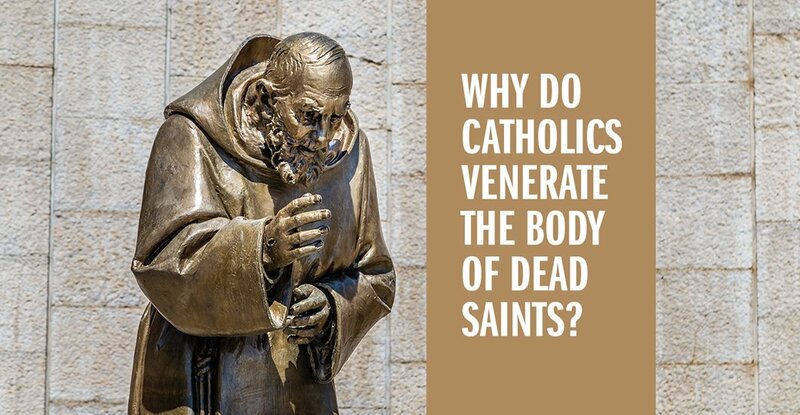 Why Do Catholics Venerate the Body of Dead Saints? Why do Catholics venerate the bodies and body parts of saints? With the display of Saint Padre Pio in the news lately, it is something I have been wondering about. I know it is a much more common practice in Europe, but it is not something we are used to and it kind of creeps me out. Why not just pray for the saints’ intercession and let their bodies be at rest? I know, “Creepy!” Plus, why do Catholics have to keep doing things that make us look weirder and weirder to passers by? I admit there is something almost inexplicably strange about this particular Catholic practice. One minute you are wandering in prayerful reflection through the Basilica of Saint Dominic in Siena, Italy, and the next minute you are looking at Saint Catherine’s head and hand. Can someone say “morbid?” I have to tell you, it makes me a bit uncomfortable, as well. While individual Catholics might be squeamish, Catholicism is not a squeamish religion. We have a very “earthy” religion. There may be a desire to sterilize or “spiritualize” Christianity, but that is not authentic Christianity. 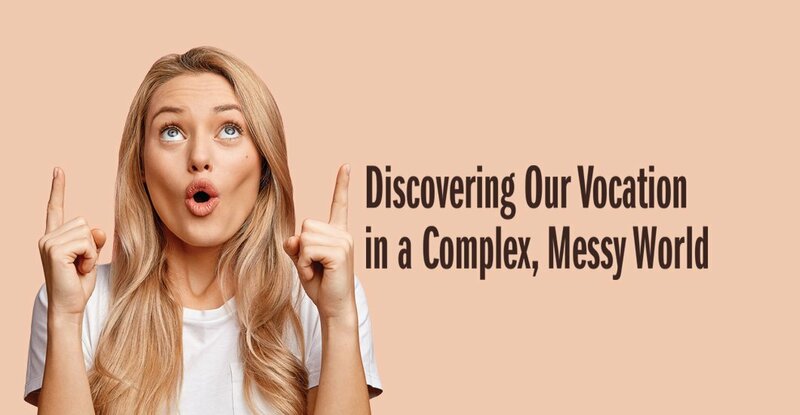 In fact, there have been many times in history when certain groups of people within Christianity have denied the importance and value of the “earthy” stuff (things like the material world, the human body and so on). These movements can generally fall under the category of Gnosticism. The person, they maintained, was “trapped” within this material world and was only to be “set free from the prison of their body” in death. This is a heresy condemned by the church. Catholics believe that the human person is a body-soul unity. Humans are unique in that we are the only creatures (known to us) who are both body and soul. Angels do not have bodies, and animals do not have rational souls. This is what we are: not merely angels and not merely beasts. We are destined to live for eternity as humans. This means that we will be reunited with our bodies in the resurrection of the dead; some will rise to glory and some to condemnation. Basically, your body is you. Your body is good. Furthermore, “the body, and it alone, is capable of making visible what is invisible, the spiritual and divine” (Pope John Paul II). To top it all off, your body is currently (if you are baptized) a temple of the Holy Spirit! This is why the bodies of the dead have always been treated with a great deal of reverence. Their bodies are treated as being an inseparable part of the person. In death, body and soul are separated, but in that separation the person is incomplete. Saint Augustine wrote at the end of the fourth century that the bodies of the deceased are “in no way … to be despised … (for they) are more intimately and closely united to us than any garment; for they belong to man’s very nature. …” From the very beginnings of the church, Christians venerated the bodies of the martyrs. Many masses were celebrated upon the very coffins of those witnesses. This is not worship of the dead. Saint Jerome wrote around the same time as Augustine: “We honor the martyrs’ relics, so that thereby we give honor to Him whose (witness) they are: we honor the servants, that the honor shown to them may reflect on their master.… Consequently, by honoring the martyrs’ relics we do not fall into the error of the Gentiles, who gave the worship of ‘latria’ to dead men.” So, when Catholics venerate the dead body of Saint Pio, this practice is rooted in history as well as theology. It is possible to ask the saints’ intercession without their bodies present, of course. But there is something special about the unique connection we have with another when there is some tangible presence available. It may be weird and semi-disturbing, but it is deeply Christian because it is all about the Incarnation, where God reveals himself by taking on our human nature, body and all. In the night when you walk down the little sidewalk in the village of Chontal, you can look to your side and see a large cliff on the other side of the river that goes along the side of the village. At night, it is pitch dark. Just all black. Some time ago, I was sitting near the sidewalk with one of the neighbors and noticed one bright light shining from the other side, in the middle of the cliff. Someone has a farm there, my friend told me, and they just got electricity. They are pretty happy about it. As that single bright light in the midst of the dark stands out, it is impossible not to notice it. Now, let us say you were an artist, a painter. And let us say that you wanted to paint that image. You would need a lot of black paint. You would actually need to first cover the entire canvas with black paint. After that, all you would need is a tiny bit of white-yellow mix to put in one single spot of light. Then viola! A light in the darkness that you cannot miss. When you put a light in the darkness, it makes it stand out all the more. You need a whole lot of the black paint to make the effect. I say all that because Jesus is going to say—and show—that He fulfills not just the law, but also the prophets. You know the prophets. Doom and gloom. End of the world. Sin and punishment. War, famine, pestilence and the wild beasts. The prophets are writing about a lot of bad news and sins and problems with the Israelites. Then, all of a sudden there is this unexpected burst of good news, this hope and light. Go ahead and read them, it is the same thing again and again—a lot about the bad stuff the Israelites have done and the bad stuff on the way for them, and then a promise of miraculous and permanent salvation from it all. You know what the authors are doing? That is right, they are putting a lot of black paint on the canvas and one bright light. It is meant to bring all your attention to the bright light, because when you put a bright light in the darkness, it stands out all the more. The key to reading and understanding the prophets is to look for the light! Find that light in the darkness and follow it, because there is where you are going to find the son of God. That is where you are going to get the lift in your life—from the Bible. The magi from the east saw the star in the sky and they knew it was the one to follow. How did they know? Because they were experts on the prophets. They were great at finding the light in the darkness and following it and finding God’s grace. When the star came, they were ready. It is natural to want to get rid of the darkness in life. It is another thing to accept it and look for the light within it. If you practice looking for the light in the dark situations you face, you will get to find the hidden son of God. You will get a lift and freedom of life from God. 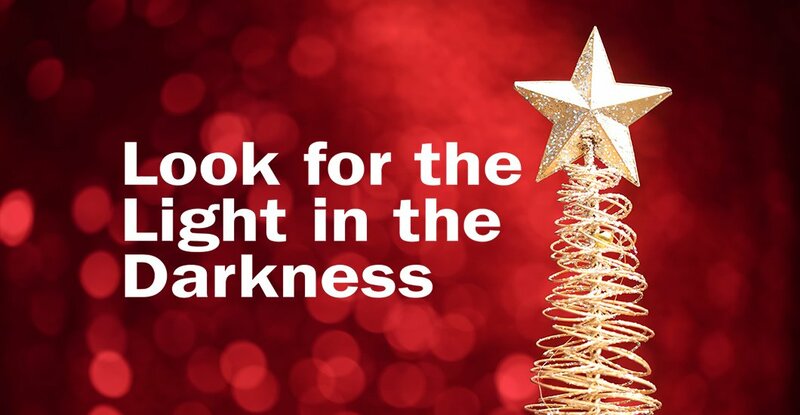 Remember, when darkness comes it means that God is all the more findable. Look for the light. “The light shines in the darkness, and the darkness has not overcome it” (John 1:5). The baby found my belly. It seems every baby has gone through this stage where during or after a nursing session they are fascinated with and amused by my mid-section. Each time it has gotten softer—the skin that was five times stretched to fullness of life displaying the evidence of its past work more with each new life it is housed. A few more silver streaks here, some new creases there, the skin a bit looser and softer everywhere. Not to mention the quirky looking belly button that popped out and never went back in. The baby thinks it is hysterical. My husband says it is beautiful. My mom taught me that it is my battle scars. If our bodies speak a language, then I want mine to say that I gave. I do not want to be embarrassed that my belly was six times blessed to be swollen with life, my breasts filled and emptied tens of thousands of times. I do not want to look with disgust on the hips widened by the passage of five fully grown, fully healthy babies. I do not want to try to erase the creases caused by too loud laughter or sick with worry nights. I do not want to spend precious energy seeking cures for what is simply the risk of my vocation. I want to offer my body, given up for them. For Him. And I do not want to look like it did not happen. We will not have our bodies immediately upon death. But as Christians we do believe that at the end of time we will. Our bodies will be resurrected. While we do not know what that will look like, the fact that Christ's resurrected body still had the wounds of His love, makes me wonder if we, too, will still have ours. Perhaps at that point, viewed in the Presence and with the eye of God, they will not be deemed ugly or offensive, disgusting or embarrassing. Perhaps they will be our glory. Perhaps they will be a bit like His wounds, an eternal testimony that we chose to love beyond ourselves, to sacrifice our bodies for another. 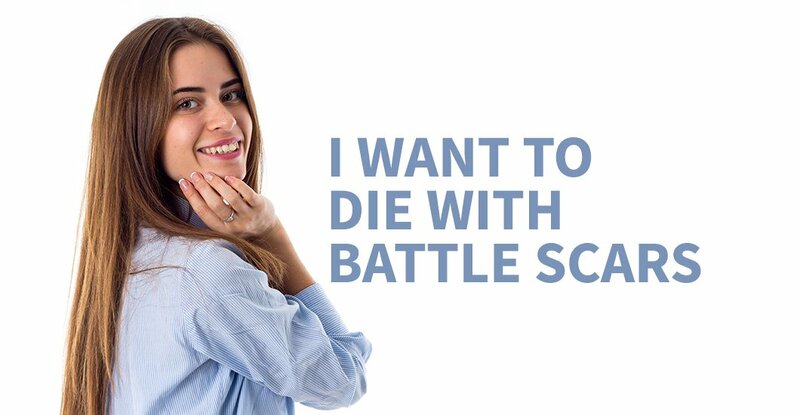 They will be the scars of a battle won. My battle is now. It is against powers and principalities and the voices of the world. It is not against others' flesh and blood but it is against my own. It is a battle to choose love, to give until it hurts, to be like Him, offering my very flesh and blood for the sake of another. It is a battle to reject the voices around us that scream our worth is in our youth, our purpose mere pleasure. And just like Him, we who are called to this vocation will often bear the marks of battle on our bodies. This is my specific call from Him. What a tragedy it would be if I were to die having preserved my body from any signs of that love. What a waste if at the end I found I could have squandered my energy on perfectly manicured hands and cellulite-free thighs. God help me if I stand in front of Him one day and have to answer for a talent buried in the ground, kept clean and perfect, but bearing no interest. I cannot bring Him much but I can bring Him this body, the wrinkles and scars a testament to how I tried, albeit imperfectly, to love. My goal, my calling, is to love and love—if it is real—costs something. It is an action. Mother Teresa said, “Love to be real, it must cost, it must hurt, it must empty us of self.” She had more pressing things to do than worry about her crow's feet or sagging skin. She was too caught up in love to be dissecting herself in the mirror. I will do what I can to be healthy, yes. I am weaker than I should be and I am obliged to care for my body in the way I eat and exercise. I honor Him by honoring how my body was designed to work—with real food from the earth and with real movement from work and play. I respect His design for my body enough to only use medicines and supplements insofar as they help my body to function as He created it. I can be more open to life and available to love when I take care of what He has give, yet I refuse to mourn that using my body in love will leave its mark. If my back aches let it be from carrying one of His children. If my eyes grow weak, let it be from straining to see the little people around me. I do not want to be a person whose eyes are turned inward, mourning what we all know is passing anyway. I do not want to grasp at the exalted body of a teenager, a body that has never known the joy of a baby's smile, drunk with milk from its mother’s breasts, a body that has never known the triumph after the last agonizing push as new life slips out from it and into aching arms. I want to rejoice that He gave me the opportunity to love and I want to honor that this love was so real it changed my very skin and bones. If we are to be running a race, I hope to show up at the finish line sweaty and aching, knees bloody and heart pounding. What I want is to reach the end of my days, wrinkled and worn, scarred and used up. I want to give it back to Him and say, "This is what I did with what you gave me. I lived. I loved." No doubt I will grapple a lot with letting go of the image of me in my head, an image formed by the world's eye, to meet the reality of what I have become, what I hope is an image formed by His. But I will try. I want to be a woman who gives my assent to continue that fiat started long ago. Be it done unto me, Lord, even the stretch marks. I do not want to look back and regret what I did not give and when in doubt, I hope I will err on the side of giving too much. I want to reach the end of my days having held nothing back. I want to reach His feet, exhausted and scarred from the battle, and hear Him say those words, "Well done, my good and faithful servant. The battle has been won." The leaves crunched underfoot as I walked down the narrow, bumpy path. I stopped briefly to inhale the crisp, fresh fall air. I viewed the splendid trees that were anxiously waiting to greet me on this path I chose to travel this day. The leaves on the ground were like a fall coat of many colors—several different shades of red, pale yellow and brown, some bright yellow and, a few, a blend of copper with a splash of deep purple. I also noticed some persistent, perhaps even stubborn, green leaves that were still desperately clinging to the tree they had grown accustomed to throughout the spring and summer. These leaves intrigued me with their stubborn pride, refusing to let go and to allow the change to happen within them. These determined green leaves reminded me of my struggle to let go of my need to control situations and people. “If I had my way,” I thought to myself, “I would scotch tape these green leaves to the tree, so they would never have to go through this painful process of letting go and letting God change them.” As I continued my walk, I began to realize that it was indeed time for me to let go. It was time for me to surrender to the fact that I cannot change another person no matter how much I love that person. I tried, just like the stubborn leaves, to feverishly cling to my way of manipulating a change. It left me blaming, judging and condemning. I thought to myself: Perhaps by allowing God’s grace into the situation, I can learn to trust that God will take care of my loved ones just as He so gently takes care of the leaves that effortlessly fall to the ground. The tree knows it will be left barren and stripped for a season of waiting. 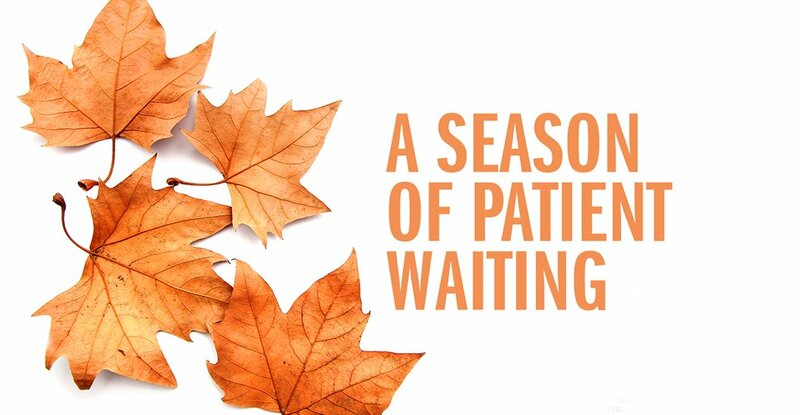 Yet, the tree also trusts in the Creator that after a season of patient waiting, life will once again bud forth, filling the branches with the glorious new birth of magnificent and vibrant green leaves. As the gentle breeze beckoned the leaves to let go and float gently into the Creator’s hands, I also mentally released my hold on my loved ones. I gently placed my loved ones and myself in the palm of His hands, trusting in God’s glory to shine forth through the darkness. I ended my walk with renewed hope, knowing I have entered into a season of patient waiting, placing my trust in my Creator to make all things beautiful in His time. “He makes me lie down in green pastures, He leads me beside quiet waters, He restores my soul. He guides me in paths of righteousness for His name’s sake” (Psalm 23:2-3).